UNITY 2012 ¡Viva Las Vegas! 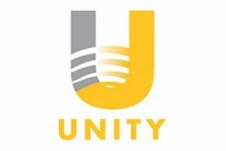 The UNITY Convention begins Wednesday, August 1. About 3,000 journalists from across the country will gather at Mandalay Bay Resort in Las Vegas, Nevada. We are expecting a diverse group of journalists from AAJA, NAJA, NAHJ, and NLGJA. We will save a table and chairs for D.C.Chapter Members during some of the bigger events. Several of our Chapter Board and Members will go to Vegas. Just text me to meet up for the opening session and reception. We will also save a table for the Banquet. Email me at brandon.news@gmail.com for my cell number. Also, we can help each other network with others. If you are looking for a job, prioritize your time wisely. The Career Expo will be packed and most employeers who are hiring will have long lines. Dress for an interview. Bring several copies of your resume and resume reel. Many recruiters will interview on site. You can dress business casual for convention workshops. The Media Showcase & Career Expo is Wednesday, August 1 through Saturday, August 4 at various times. Here’s a few sessions featuring our NAHJ DC members… you may want to attend. Ray Suarez from PBS NewsHour is a panelist in the Opening Plenary: A Difficult Conversation: Our Personal Identity and How We Cover Race, Ethnicity, Culture and Gender Issues. The Opening Session is Wednesday, August 1 5:00 PM – 7:00 PM in Room: Mandalay Bay Ballroom. Ray Suarez from PBS NewsHour is moderating a lunch session… Top Tips to Grab A Reader’s Attention Using Data and Information About Child Well-Being in Today’s Economy Sponsored by The Annie E. Casey Foundation. The session is Friday 3 12:00 PM – 2:00 PM in Room: Mandalay L .
We look forward to seeing you in Vegas. ¡Viva Las Vegas!